Due to the unknown nature of how I was going to be able to access live F1 for half of next year, I decided to watch the 2011 finale in Brazil in style. 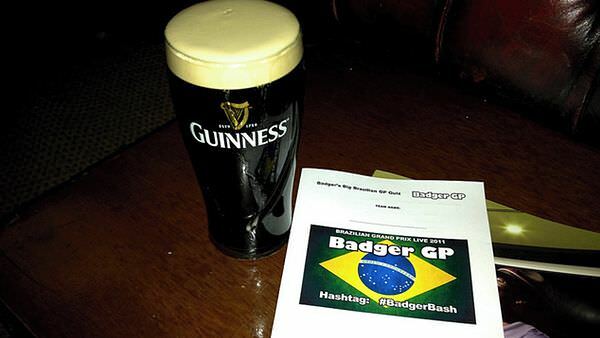 When @BadgerGP tweeted that tickets were to be released for the live Badger Bash event, I was straight on the case. Essentially, take 100 F1 fans in a London venue, a 4 metre screen to watch the race, a quiz and some industry insiders to chat about the stuff we know and love and you have a recipe for success. I found it to be well organised, in a comfortable but not too stuffy environment. Doors opened at 12:30 so there seemed to be plenty in store before the action on track. For the fan forum we had ex-Marussia Virgin employees Geoff Collins (the team's first official tweeter) and Mark Hendy (their ex-interim financial director). The quiz was suitably challenging (we came 12th), you can try it yourself and see how well you do. Also, included in the admission was a raffle ticket for some F1 gear. I was lucky enough to win a pair of Bang & Olufsen headphones who were sponsoring the event. Others received caps, posters and a luxury camping package for the British GP. It was a great atmosphere to watch the race in, we saw all the BBC build up and even the forum afterwards. The crowd roared at some the overtaking moves (Button on Alonso) and cringed at the splintered carbon fibre (Schumacher and Senna). Sadly, there was another event following the GP so at 7 o'clock we de-camped to the Slug and Lettuce pub up the road for more drinks and chats. Overall, it was a great success and I'd definitely do it again. 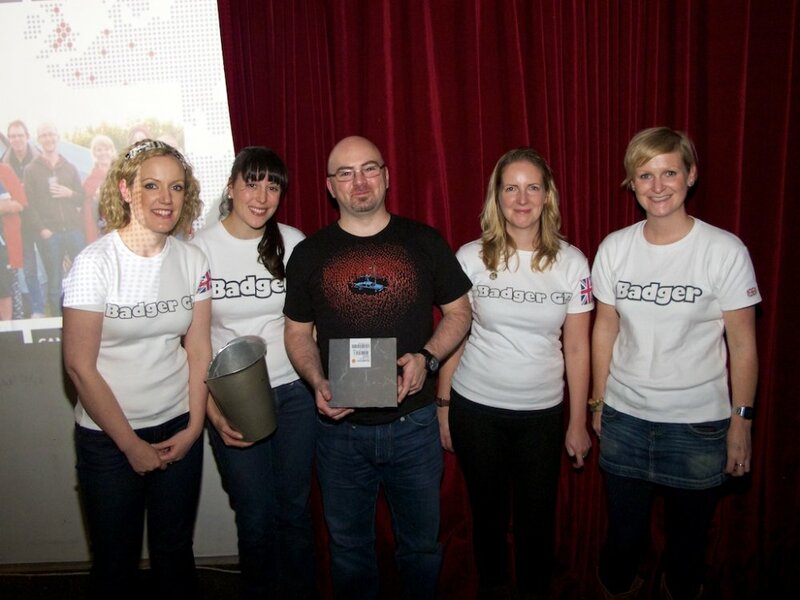 There are likely to be more events like this next year, in fact @BadgerGP have already started asking if there's any interest in an audience in March for the Australian GP, a Badger's GP Breakfast. Tempting.